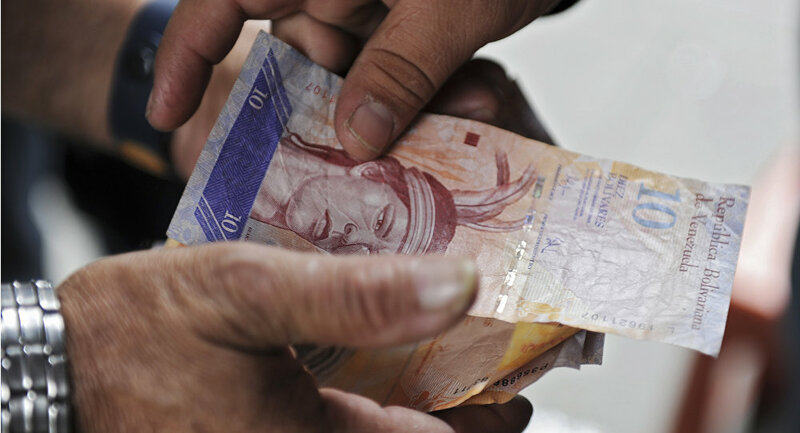 Inflation forced the Venezuelan Central Bank to begin issuing large-denomination banknotes and coins, local media reported on Wednesday. MOSCOW (Sputnik) — The country's central bank gave orders to print 5,000, 10,000 and 20,000 bolivar bills as well as a 1,000 bolivar coin, the unnamed source familiar with the situation said, as quoted by the Delinmediato.com.ve news outlet. At the moment, the largest denomination available is 100 bolivars, which, at the exchange rate of about 1,000 bolivars for 1 dollar, makes cash transactions cumbersome. The new bills and a coin will reportedly enter circulation by the end of this year. On Tuesday, the opposition-led National Assembly voted to initiate impeachment proceedings against President Nicolas Maduro, claiming he had violated democracy and blaming his economic policies for the recession, high rate of inflation, shortages of food and other essential supplies in the country. In his turn, the president accused the legislature of staging a parliamentary coup.